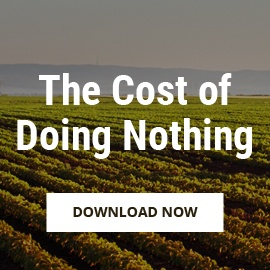 The demand for fresh prepared food is growing in retail markets and creating challenges for managing the supply chain. Consumers are craving and demanding more food transparency. Food safety and quality management software ensures consumer trust of fresh prepared foods. In-store meal kits that provide a convenient alternative to home delivery meals. Grab-and-go prepared foods that simplify meal planning and can be combined with other items from the grocery section. Self-service food bars that allow healthy options for those on a time limit or as an addition to items from the grocery section for meal planning. Made-to-order foods that provide a restaurant experience with in-store chefs and dining areas or as a substitute for takeout. 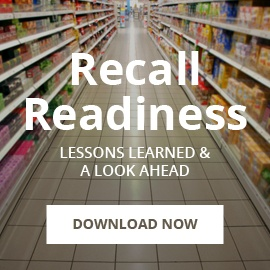 Retailers are offering a wider range of fresh and prepared foods than ever before, emphasizing the need for sophisticated food safety and quality management software systems. Products can be promoted as local, organic, sustainably sourced, and product claims can be substantiated. Signage can increase in-store communication with consumers. While price currently dominates consumer selection for in-store fresh prepared food, a recent study conducted by FMI recognizes nutrition-focused consumers as a growing sector. The next generation of consumers are nutrition-focused and are more likely to use technology, read nutritional labels, and seek transparency and safety above cost. They are native technology users who have grown up with instant access to information. This generation grew up with smartphones, social media, and the Internet. They focus on healthy eating, ethical sourcing of ingredients and food transparency. They are more interested in the ingredients used in food and the sourcing of those ingredients than the generations before them. These conscientious consumers are seeking authenticity from the brands they support. 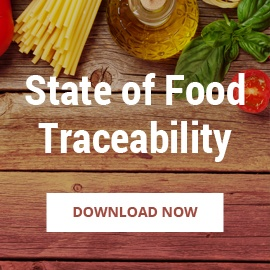 Due to this next generation of consumers' increased awareness of recalls, allergens, chemically-processed foods, and unfair labor practices, there is a movement toward authenticity in all things related to the Food and Beverage arena. Authentic shoppers who embrace healthy, clean and sustainable foods, beverages and packaging. Authentic brands that stand for quality and integrity and are honest and trustworthy. An authentic food experience, food that is free from artificial ingredients and prepared in a manner that’s respectful of its origin. Authenticity and transparency go hand-in-hand. Offering transparency to consumers starts with supplier visibility and establishing trust and open communication with your trading partners. FoodLogiQ was built on the concept of transparency. We're mapping the world’s food chain and empowering people to make informed decisions about the food they eat. Today’s consumers desire healthy, simple meals that are creating new challenges and opportunities. By providing a customizable experience in the grocery store, food retailers can offer selections and information ensuring an increase in consumer confidence. Communication is key to gaining consumer trust. Combining technology and brand messaging allows in-store access to information about the products and allows shoppers to make informed decisions about the food they eat. They can choose locally grown vegetables, fair trade coffee from the barista, or learn about the reduction of food waste along the supply chain. 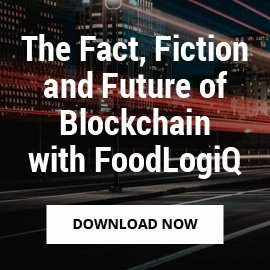 FoodLogiQ is more than a software company. We are your partner for investing in the future of food. 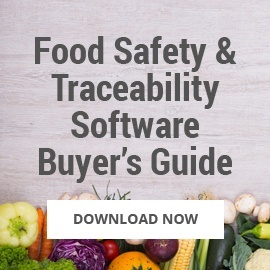 Food safety and quality management software can provide food retailers the tools to win consumer trust and achieve supply chain transparency with an easy-to-use, real-time solution. 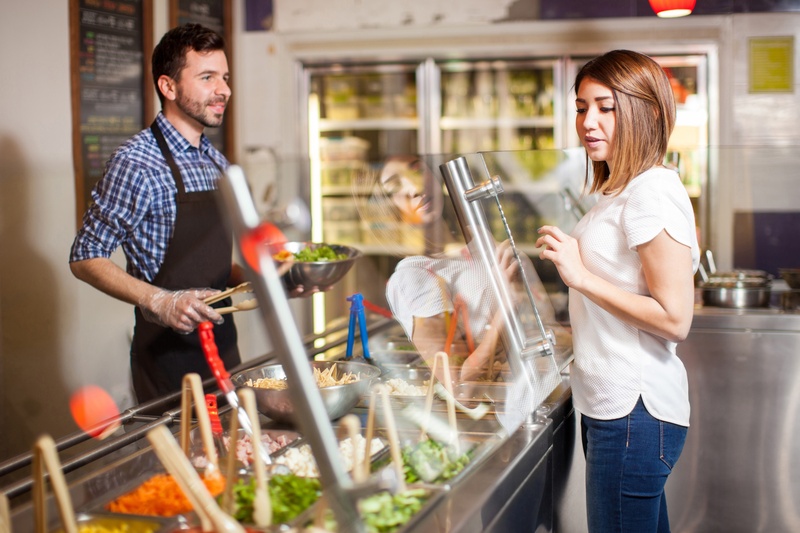 Retailers are meeting the increasing demands of fresh food service and leveraging in-store communication and technology. By offering the next- generation consumer choices that go beyond rotisserie chicken, food retailers will gain trust and stay competitive with the new trends in fresh food service. 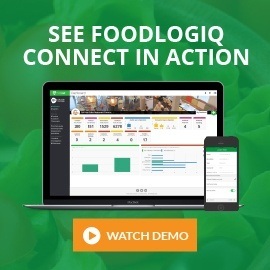 To learn how FoodlogiQ can help you gain consumer trust Request a Demo.